We've said it before and we'll say it again - Pixar is knocking it out of the park with a brilliant marketing campaign for Monsters University. Today, a new video has been making the rounds that shows several basketball-loving Monsters University students packed around a television as they watch their team get eliminated on the bubble from the tournament. The chaos that ensues reaches its peak when a monster named Big Jim eats the camera that was filming the students watching the television. 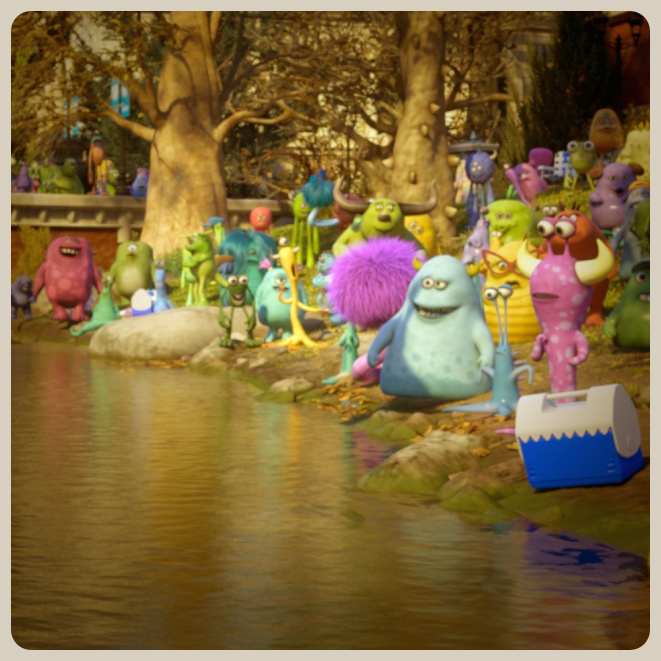 We uploaded a high-definition version of the video on our Pixar Post YouTube channel. So, where did this video come from? Well, to continue the great marketing, be sure to check a new website on Tumblr called, the MU Grumblr. 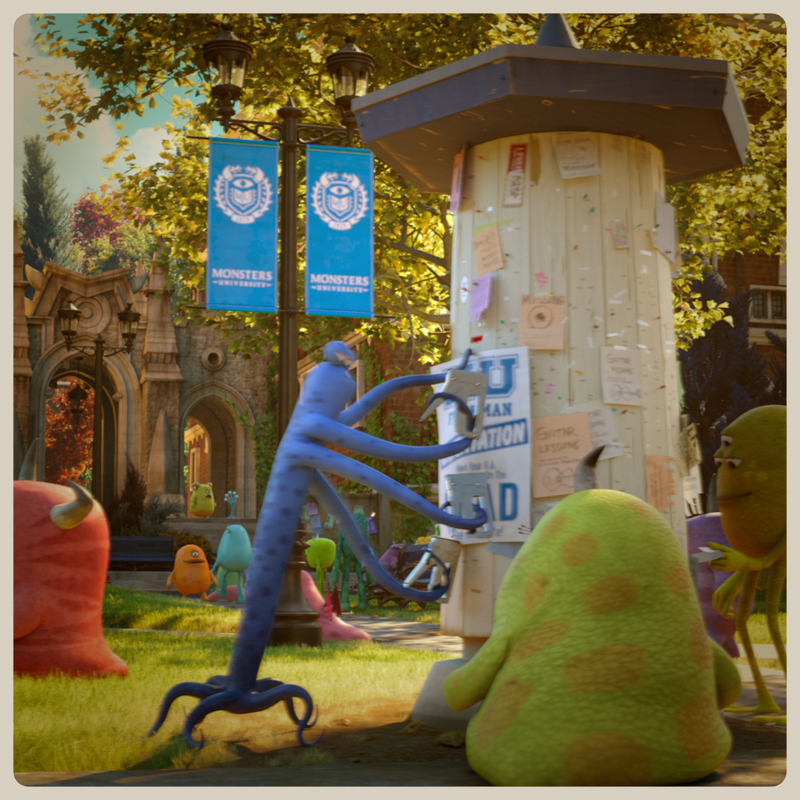 On the student-run site (originally created in December), you can view a series of photos and quirky messages from within the grounds of Monster University. Below are a set of Instagram-style photos that have been added to the Grumblr page to date (click any photo to enlarge). 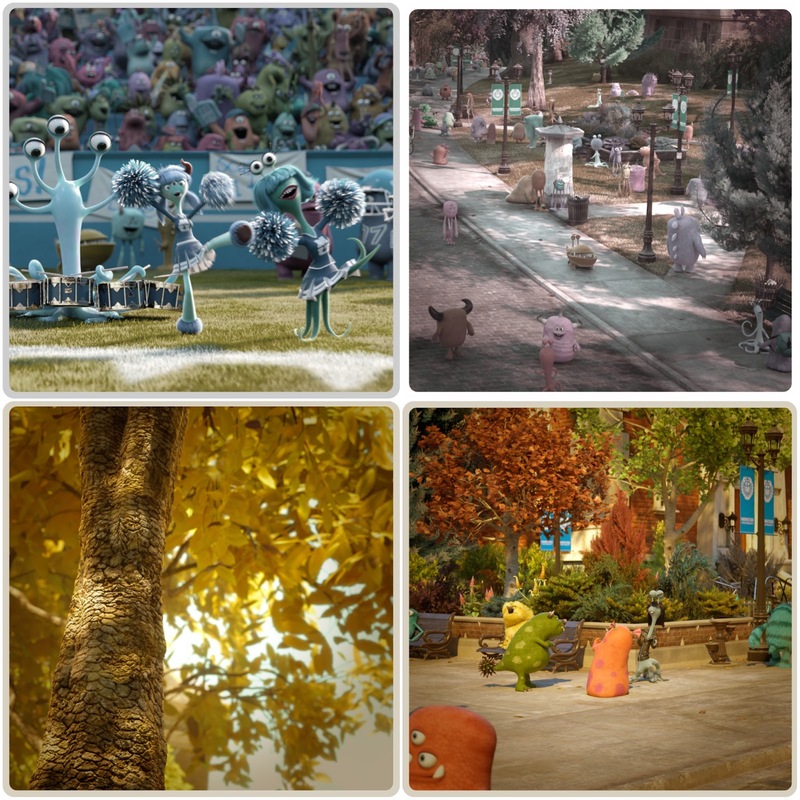 Thanks to Pixar Times for finding the Grumblr site.